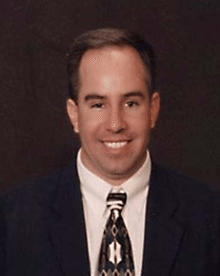 Mr. Roberson graduated with a Bachelor’s of Science degree from the University of Arizona in 1994 and has worked for Cornerstone Properties since 1995. Mr. Roberson has managed associations over the years that have included master planned communities, single family homes, townhouses, condominiums, and commercial buildings. He has had his AMS designation through the Community Association Institute since 1995, his CMCA designation through the National Board of Certification for Community Association Managers since 1996, and his CAAM designation through Arizona Association of Community Managers since 2009. He also currently has a certificate to practice as a Legal Document Preparer through the Board of Legal Document Preparers pursuant to the Rules of the Supreme Court of the State of Arizona. Mr. Roberson consistently strives to ensure that all of the associations managed by Cornerstone Properties receive the utmost in service, response, and professionalism by all of Cornerstone’s managing professionals. Mr. Roberson graduated from Arizona State University in 1971 with a Bachelor’s of Science degree in accounting with a minor in computer programming and systems. Mr. Roberson, the Owner and Chief Financial Officer of CPI has a background of nine years of public accounting experience as a CPA, three years’ experience as a Vice-President of Finance for a regional trade school and four and one-half years’ experience as a Vice-President of a regional commercial property management company. 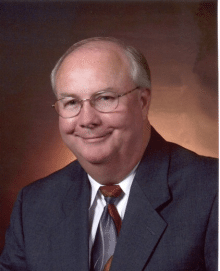 Mr. Roberson began his career in public accounting in 1971 with a local CPA firm in central Arizona. In 1974, he began work as the Coordinator of Client Administrative Services for Fox, Westheimer & Company, CPAs a national CPA firm. He began his own CPA practice with offices in two Arizona cities in 1976. A year later, he merged his practice with Wulftange, Robertson & Sunderman, CPAs as a partner and formed a statewide CPA firm in Arizona. In 1980, he left public accounting to become the Financial Vice-President of a regional trade school. In 1983, he took a position with CBS Property Services, Inc., and was promoted to Vice-President in October of that year. In 1987, he formed Cornerstone Properties, Inc. In 2014 he turned the operation of CPI over to Michael Roberson and assumed the position of Chief Financial Officer. We can provide all services for management of homeowner associations including landscape services and installation services.